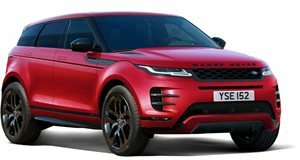 The Range Rover Evoque is Land Rover’s best-selling model, and the all-new version is expected to be a similar success story. A model as popular the Evoque needs to be as safe as possible. Luckily, you can be assured it’s one the safest luxury compact SUVs yet because the new Range Rover Evoque has been awarded a maximum five-star Euro NCAP safety rating during extensive crash tests. It may look similar to the last model, but the second-generation Evoque rides on Land Rover’s new Premium Transverse Architecture that makes the SUV stronger and stiffer, resulting in better crash protection for occupants.